Author Lisa Andres: Half Day Class for Psychics, Mediums, & Intuitives - Illuminations! Lisa Andres is offering a half day class for Psychics, Intuitives & Mediums. In this class you will learn more about your intuition and how it helps you tune in to the information you are receiving. Lisa will talk a bit about her own gift and experience. In addition, she will coach each person in the class which will be interactive with both her and the other students. Be prepared to both have an experience that is good for your soul while also exploring the work you were meant to do. Students will need to enter the Cherry Building via 11th Ave by NewBo Market. 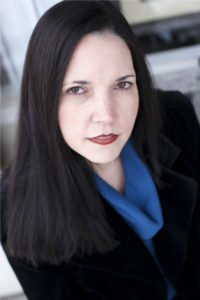 About Lisa: Lisa Andres has been a psychic medium all her life and has been doing readings for others since 2007. She works with Spirit to bring you messages from your loved ones on the other side as well as to assist you with information you need in life. She does psychic readings regarding guidance for your life as well. Lisa has a background on stage because her first dream in life was to be a Rockstar, but life had other plans for her. Now she works with Spirit to bring through the evidence and messages that only your loved ones on the other side can provide. With Lisa’s unique style she’ll articulate the messages that Spirit brings through in a way that no one else can. She’s had many teachers and now teaches students both in person and through her books. Her first book, Gifted – A Guide for Mediums, Psychics and Intuitives, was released in 2013. Her most recent book, Journey – The Gift of Being a Psychic Medium will be released in 2018. She lives in Minneapolis, Minnesota.